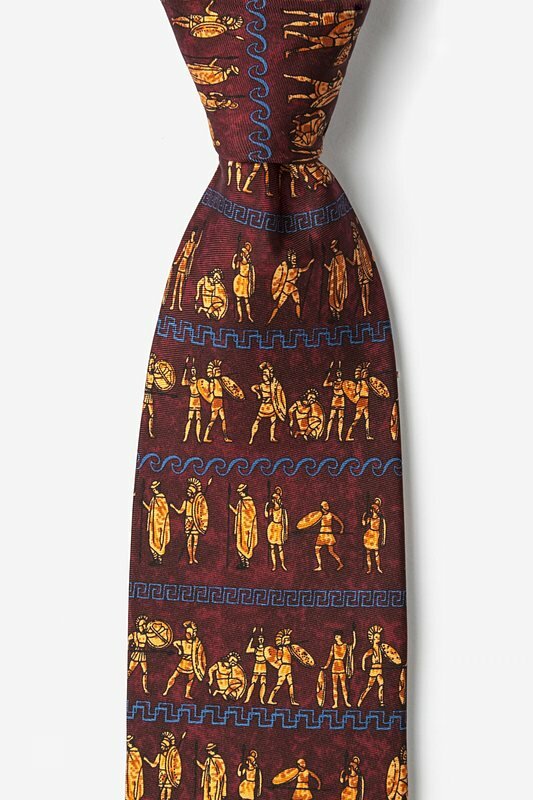 Our Ancient Greek art men's necktie depicts Grecian warriors and is constructed of the finest silk fibers and hand crafted construction. 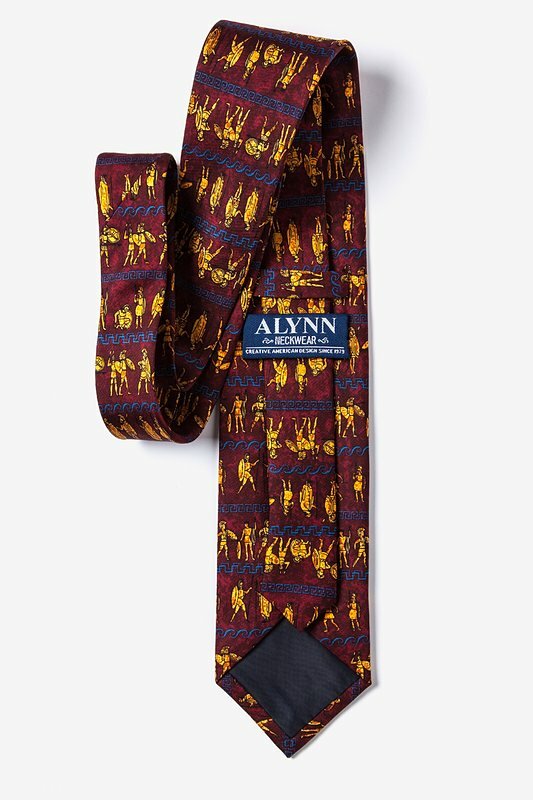 This design is based on anci... read more Our Ancient Greek art men's necktie depicts Grecian warriors and is constructed of the finest silk fibers and hand crafted construction. This design is based on ancient Greek mythology and has a rich burgundy background and a silk twill texture with a matte finish. A perfect gift for that special someone.